Many of us have spent hours trawling through shops and products online trying to find that perfect piece of furniture which will transform the look of our home, only to find it doesn’t fit properly. When it comes to fireplaces, a bespoke design will prevent any hassle when it comes to measuring and fitting, as it is tailored perfectly to your home. 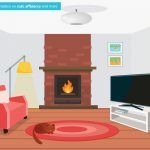 As a fireplace is typically the focal feature in a room, chances are you will want a unique design which will suit the style and measurements of your room, as well as your required heat output. 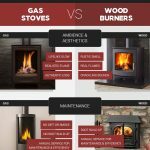 This article will serve to explain the benefits of bespoke fireplaces and which design options are available to you. 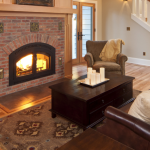 Delivering on both functionality and style, fires and fireplaces are more than just a way of heating homes – they must also complement the decor, size and shape of the room. No matter which colour, size or finish you require, bespoke fireplaces are custom-made to fit both traditional and modern designs. 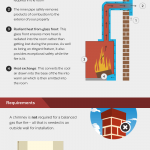 How do I know whether I need a bespoke fireplace? The versatility of bespoke fireplaces makes them perfectly suited for homes with awkwardly shaped rooms or chimney breasts, as they cater for any gaps or obstructions. 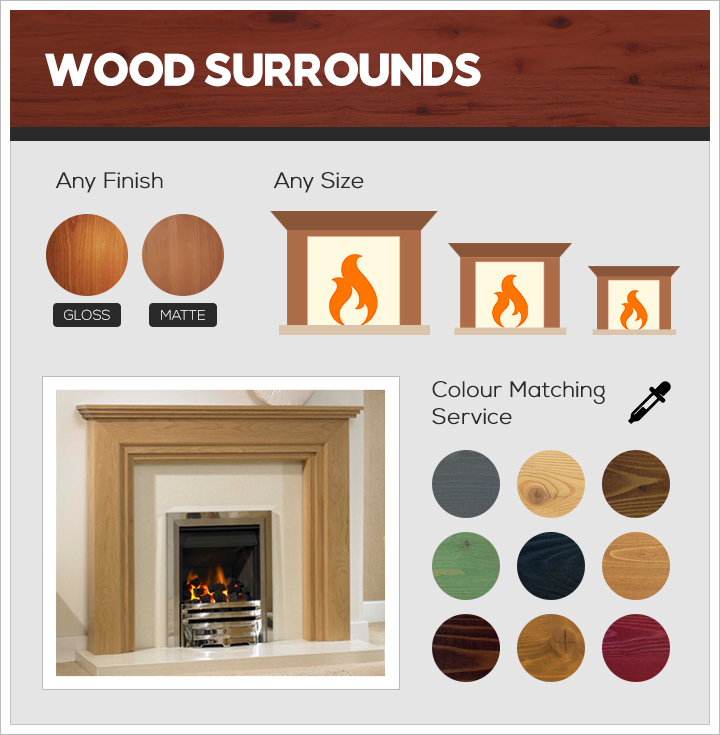 Companies which offer a made-to-measure service will ensure your fireplace is integrated into the rest of the room seamlessly, so you don’t need to worry about your fireplace looking messy or unfinished. 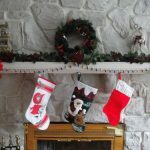 Alternatively, you may have your own concept in mind for the look of your fireplace, in which case a bespoke design is the most appropriate option. Whether you have very specific design ideas or unconventional tastes, bespoke fireplaces give you the freedom to get inspired and find the perfect style for your home. From the initial idea through to completion of the project, careful consideration must be paid to every step of the process. 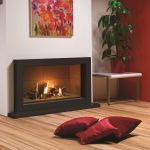 What design options are available for bespoke fireplaces? Nature-inspired interior design has remained a consistent trend over the years, with the aim of bringing the beauty of the outdoors in. 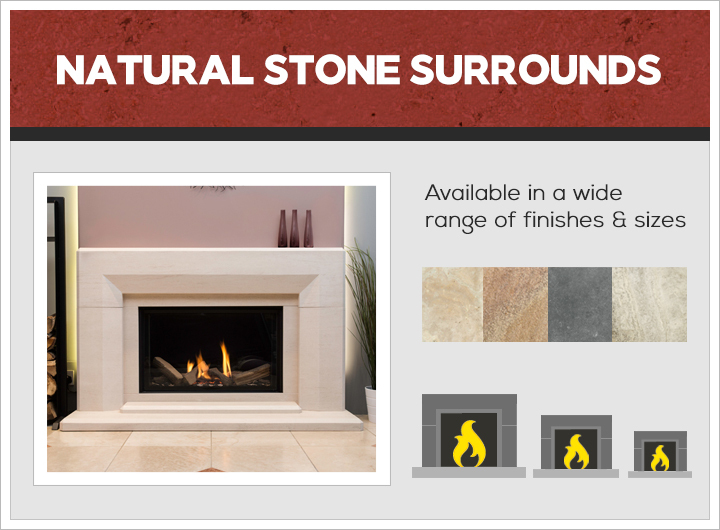 When it comes to fireplace surrounds, both natural stone and wood are popular choices as they offer distinctive textures and incredible durability for a truly unique feature. 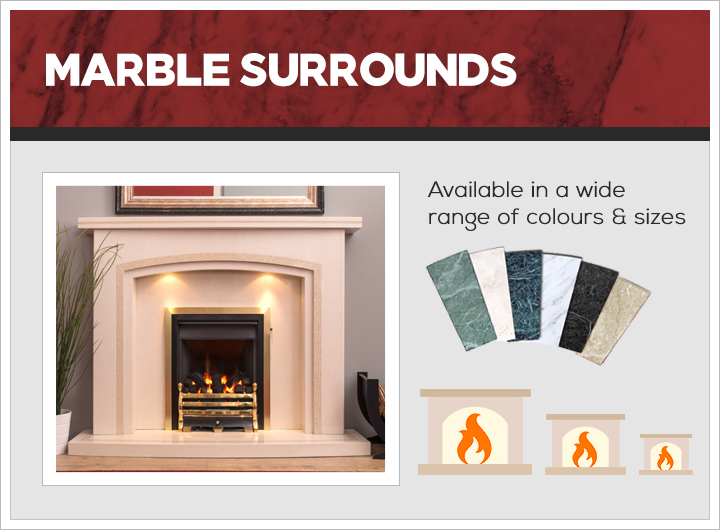 Favoured for their elegant, polished look, marble surrounds instantly inject a sense of luxury for the perfect finishing touch in both modern and traditional homes. Our made-to-measure service accommodates for any oddly-shaped rooms or chimneys, integrating the fireplace into your room seamlessly. For further information, don’t hesitate to get in touch with our friendly team of experts today – alternatively, visit us directly at our fully stocked showrooms in Bramcote or Ilkeston today.